Well, it’s beginning to look a lot like Christmas, or Hanukkah, or Kwanzaa, or whichever holiday you and your close ones are celebrating. The point here is that it is the end of the year which means nostalgic reminiscing over the past 11 months is in order, “Hey, remember that one time when Phil took my bike and went for a ride in the woods and came back with all those apples…?”, or something like that. Also, people are stocking up with food and stretchy pants like it is the end of the world, preparing for that special holiday feast. I cannot tell you how many times over the past few weeks I have heard the expression “Winter is coming” while being in the supermarket. Well, winter is here and it is bringing us all the holidays and the madness that comes with them. And what else comes with the holiday madness? That’s right, holiday shopping! And this year we are going to witness holiday shopping on steroids. 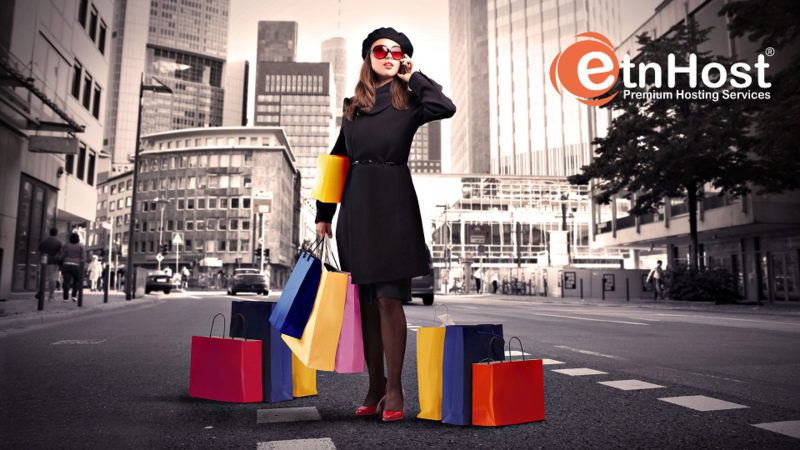 So put your gloves on, wrap a big warm scarf around your neck and let’s go on a holiday hunt for the best tips and tricks for a successful Holiday SALE! During the Holiday season, all bets are off. Everything that can be sold will get sold, it is that simple. There are no traditional gifts. You can give as a present everything from a sweater and a pair of woolen socks to tickets for a cruise to Hawaii, so that is why no matter what you are selling, chances are that it will make for an exceptional holiday gift for someone. What makes for an irresistible deal are discounts. Lots of discounts. You have to get creative because online shoppers during the holidays are turbocharged with holiday spirit and enjoy looking at special offers, and no it is not always just about the price. The presentation also matters. Consider bundling products together. It makes for a complete and interesting gift which consist of more than one thing. If you are selling kitchenware, for instance, you can make a bundle of boiling pots of different sizes and sell them together. Flash sales or limited time sales are also a nice way to hook people into purchasing. It is a well-known fact that when people know that a product is only available for a certain period of time after which it will never be seen again, they tend to get a little proactive. Promotions and discounts – we all love them. Offer products at a reduced price, or offer a promo code which people can enter at the end of the purchase, which will take 20% (just a rough number) off the price. Since during the holidays, all sales go up, it is probably a good idea to invest in a nice advertising campaign. Of course, there are some free ways of letting people know that all they want for Christmas is you, so we are going to begin with them first. Emails about sales and promotions – in those you can include all the information regarding your sale, as well as a promo code which people can enter in order to get a discount. Emails about gift ideas – you can send emails containing a display of your best products and urge people to buy them because it would make for a great holiday present. Emails containing information about a limited time sale you are having, urging customers to hurry and take advantage of the promotion before the time is up. Promote with the help of social media. You must remember that Facebook is your friend. There you can freely notify your followers about your special holiday offers. People are spending so much time on Facebook as it is, you may as well take advantage of the situation. And if you want more people to find out about your offers, and not just the ones who follow you, then you can chip in for some Facebook advertising. Your sponsored posts will be visible to people who are not following you and who are interested in the type of product you are offering, in other words – targeted audience. Of course, don’t forget about your other social media friends such as Twitter, Pinterest, Google+ and so on. Google Adwords – this is an extremely effective method thanks to which your website appears above the organic results of Google. You choose keywords and phrases and the search engine displays your content in front of a targeted audience. With Adwords you set your own budget, of course, the more you are willing to spend the better. Optimizing your website properly is a big deal especially when you are planning on launching a sale. There are a few things which are essential and need to be taken care of before you start. Make Your Website Mobile Friendly. Each year holiday sales increase more and more with the forecast for this year being somewhere around 3.6% which includes both store and online shopping. And with online shopping growing in popularity more and more people are building websites to sell their goods. It is also a well-known fact that a big percentage of online shoppers tent to purchase their desired goods via a mobile device. So this is why it is absolutely imperative that your online shop is mobile friendly! As a consumer, I am sure that you have gone through some hellish experiences while trying to purchase something online, and now as an online trader, it is your duty not to make those mistakes. Try to build a website which is offering the ultimate user experience. Mobile friendly site is a step in the right direction. Don’t forget to blog. It is a well-known fact that blogs are SEO-friendly. It would be silly if we didn’t advise you to have a blog post about your sale and all of your promotions. You could link your products directly in your blog post, you can hide special treats there such as promo codes for special discounts, and other creative things which will engage the user to go to your online store and purchase something. Decorate your site properly. This is not as much linked to optimization, as it is to the user experience. Since we are talking about the holidays it is only natural for one to assume that when you are throwing a holiday sale you would want some holiday spirit on your site. You don’t have to go nuts with decorations, try being festive yet tasteful. You can set pop-ups to show when someone enters your site notifying them that you have a sale. All you need to put there is a short witty text and possibly a festive-looking image. You could organize a hunt on your site, where the user has to find holiday-related images which are hidden all over your online store and appear randomly on your pages, you can set a prize for the people who gather all the items. The prize could be a coupon for free shipping or something else of your choosing. Little things matter. Packaging is one of those little things that can turn huge in the long run. Explore different possibilities. No one feels excited when they have waited for something to arrive only to find it wrapped in clear foil. Packaging matters, especially over the holidays, when all the anxieties are at their peak and the consumer has literally gone mad. You would not like to be on the bad side of those stressed out people. And even if they were not angry, they would definitely be disappointed because you clearly did not care enough for them to provide them with a decent packaging, much less a festive one. Think as a consumer. What would make you happy? What would bring a smile on your face? Make your customers feel special! Maybe put a holiday thank you card in the package, or think of some other nice gesture which will make you stand out from the crowd. Sometimes the free shipping serves as a tiebreaker for someone who is not sure whether or not to make a purchase. You are the boss of your own business of course, and if you feel that free shipping for all purchases will be a little bit too much, then you can offer some other sort of shipping arrangements such as free shipping when ordering items over a set price. This way the customer has an incentive to buy more stuff, which is always good for business. 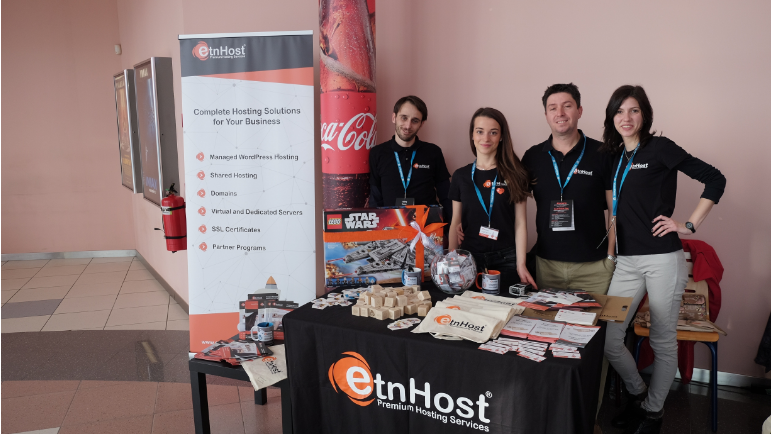 We hope you have found this article helpful and the whole team of ETNHost would like to wish you one hell of a holiday sale. Dont' forget to check our last year top selection of tips and tricks for boosting online sales during the Holidays, as well. And if you ever find yourself in need of a web hosting provider, give us a visit because we have just the right premium hosting plans for you!